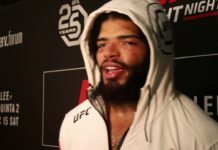 Shots Fired: Has UFC Lost the Opening Skirmish in an International MMA War? The month of May was a study in MMA on the international stage. 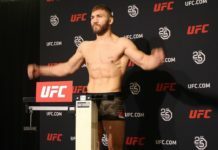 The UFC, Bellator, KSW, and ONE Championship all hosted major events outside the U.S. Long the pinnacle of the sport, the UFC saw its global attendance record broken, and its competitors are certainly nipping at its heels. 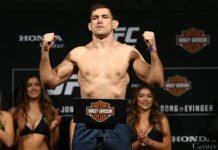 Which leads to a simple question: has the UFC lost the opening skirmish in an international MMA war? To answer that question, understand that the UFC for several years was all but unopposed when it came to MMA dominance. 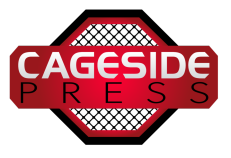 After acquiring Pride, and later Strikeforce (in 2011), there was little left in the way of competition for the UFC, then owned by Zuffa. 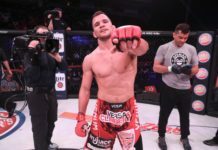 Bellator was around, with their idea of title shots being earned and relying on a tournament format, but they were in a slow, steady building period. Promotions like M-1, KSW and ONE Championship (which was only launched in 2011) weren’t on the radar outside their strongholds well beyond the borders of North America. In short, it was the UFC or bust. What a change a few years have made. 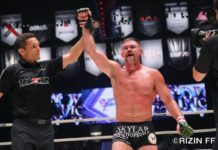 KSW became the most unlikely of heroes when it smashed the UFC’s live attendance record with KSW 39 in Warsaw, Poland on Saturday. 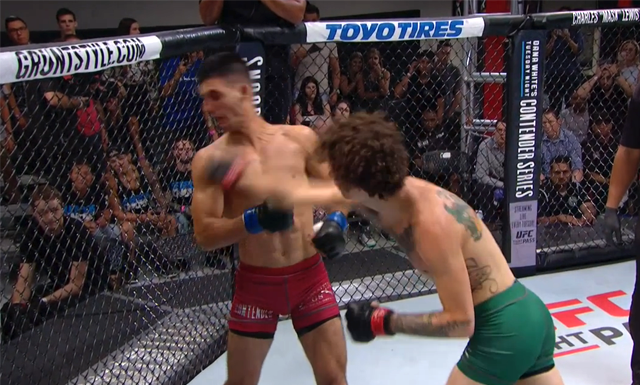 More impressively, it did so without relying on a host of former UFC stars (really, Norman Parke was the only ex-UFC prospect noticeable at the event). The promotion has been around longer than you might think, popping up way back in 2004, but really has only been on the radar the past couple of years. In that time, Konfrontacja Sztuk Walki has grown in leaps and bounds, leading to Saturday’s 58,000 strong stadium show. 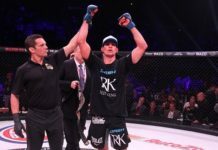 KSW 39: Colosseum was a success, broadcast live around the world. 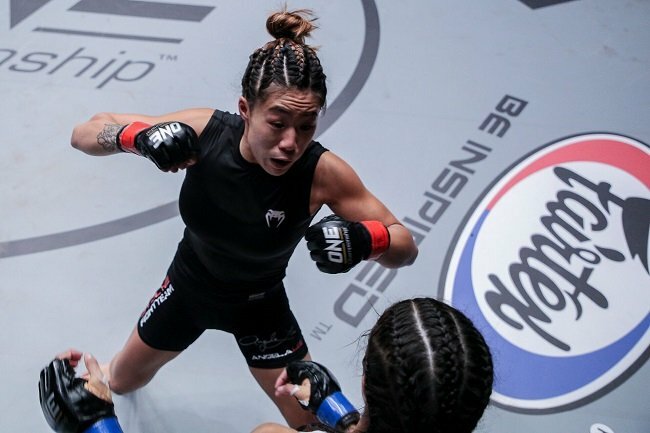 ONE Championship also put on one of its best shows to date Friday in Kallang, Singapore at the Singapore Indoor Stadium. 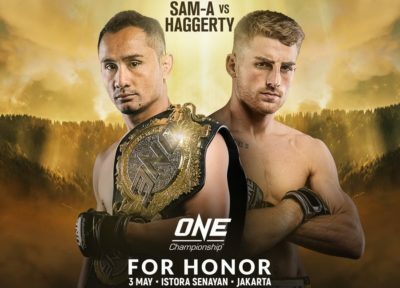 ONE Championship: Dynasty of Heroes wound up being a smashing success. 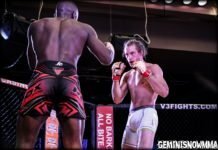 Yes, “Funky” Ben Askren was there, and successfully defended his welterweight title before calling out the promotion’s middleweight champ. Yet he wasn’t the biggest draw. That would be women’s MMA and atomweight Queen “Unstoppable” Angela Lee. Just twenty, Lee has become the face of the promotion, and draws huge crowds where ever she fights. Her entire career has been spent in ONE, and it doesn’t look like that is about the change any time soon. The UFC will be touching down in that very same venue next month, leading with a main event of Holly Holm vs. Bethe Correia. It sort of makes you wonder how serious the promotion is about the Asian market. Yes, it’s a Fight Night event, but are you telling me you couldn’t put a Demetrious Johnson or Joannna Jedrzejczyk on a televised card, and do solid numbers, while showing the region they’re more than an afterthought? While the UFC has flirted with the Asian market, showing up every now and then to China, Japan, Singapore and Korea, Asian promoters like ONE Championship, along with Japan’s Rizin FF and Korea’s Road FC, have wisely filled the void left by Pride’s fall and the UFC’s absence. Holm vs. Correia is a good fight, but it’s a fight that has little meaning to the bantamweight division at the moment. Having lost a shot at the UFC featherweight title (and isn’t that a mess at the moment), Holm needs a win, badly. With all due respect to Bethe Correia, this feels like a rebuilding fight for Holm, despite the fact that Correia has the better record of late. Make no mistake, there are some good fights at UFC Fight Night 111, which Holm and Correia headline. Andrei Arlovski is a legend. Takanori Gomi is a legend. Yet neither are relevant to their division at the moment. Ben Askren defending his title is relevant to Asian fans. Angela Lee is relevant, a rising star and the most marketable name in the region. And that’s why the UFC has failed at its attempts to break into the Asian market, simply by not taking it seriously enough. Anyone who has spent time in the region knows that the market is there. They’ve been waiting, patiently, for a promotion to cater to them. 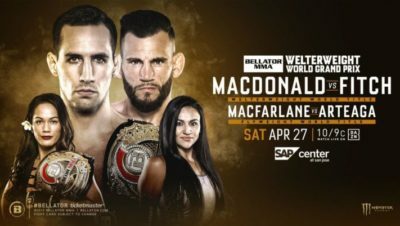 On page two, we’ll look at Bellator MMA’s excursion to London, and how their card stacked up against the UFC’s recent jaunt across the pond, plus UFC Fight Night 109.